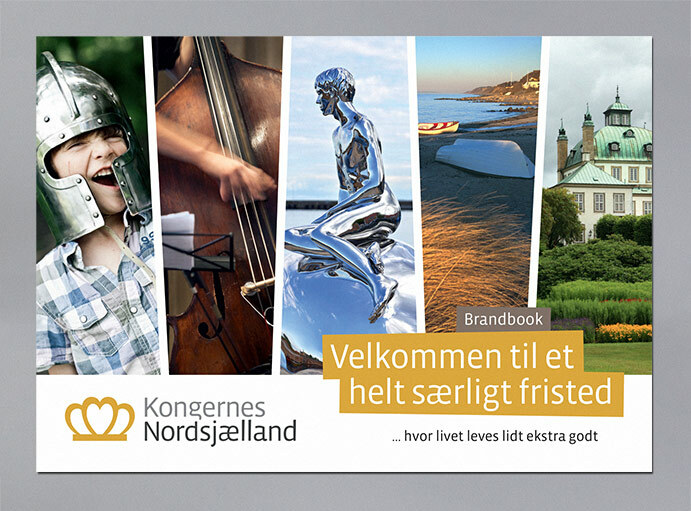 VisitNordsjælland (Visit North Sealand) is the umbrella organisation for the five North Sealand municipalities, Gribskov, Helsingør, Hillerød, Fredensborg and Halsnæs, which are promoted together as the ‘Royal North Sealand’ brand. 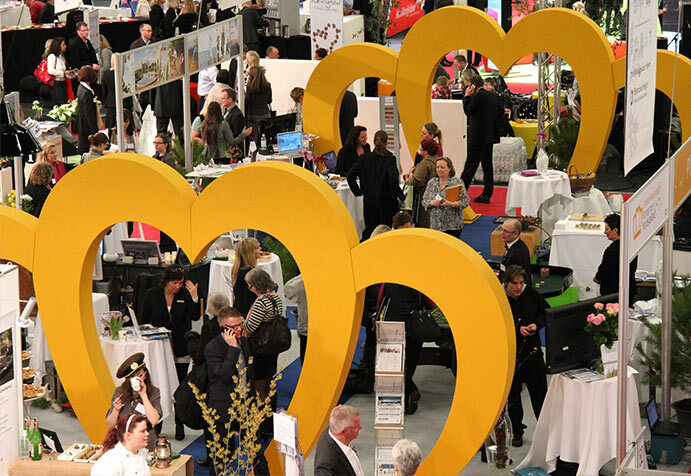 The aim is to develop and position North Sealand as an attractive destination for private holidaymakers and for businesses; to strengthen the region’s position as one of the most scenic and historic areas of Denmark; and to inject new energy into the brand via the many new attractions – particularly cultural – which have emerged in recent years. 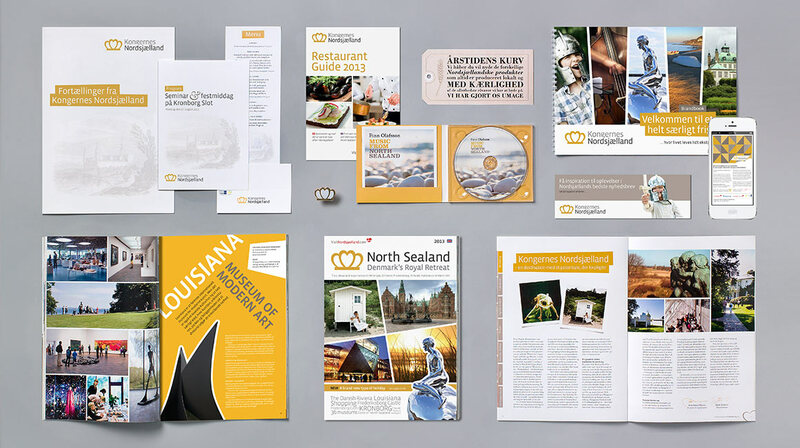 We have been deeply involved in the development of the brand strategy and entire Royal North Sealand universe. 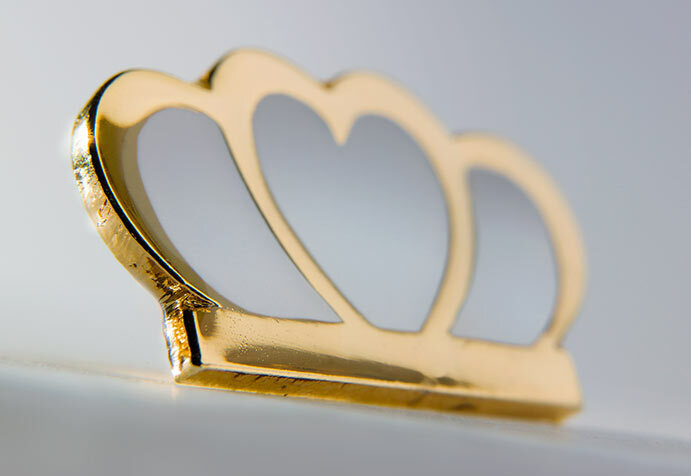 As well as the crown/heart logo, we have been responsible for the development of the brand book, the advertising campaign, websites, mobile sites, email marketing and a range of printed material. 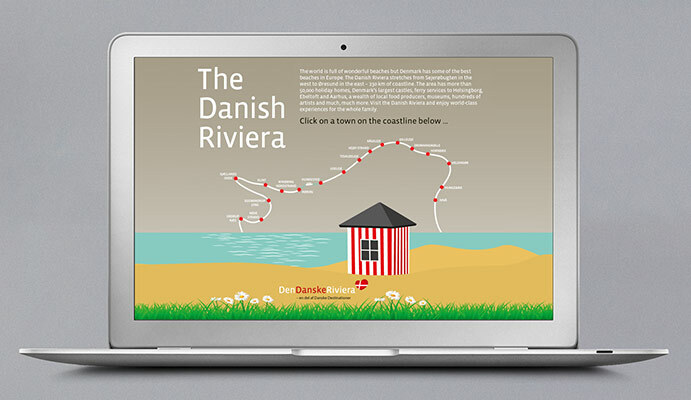 The Danish Riviera brand was launched in 2011 with its own universe focussing exclusively on North Sealand as a coastal destination. 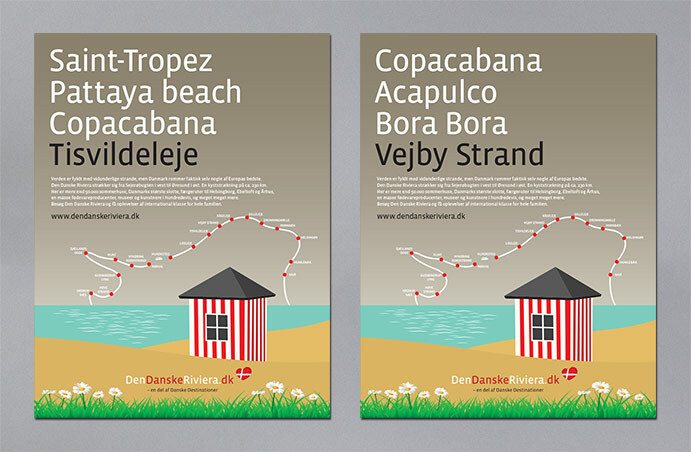 The concept was partly developed to recognise that North Sealand (or, in effect, Sealand), does not have high recognition beyond Denmark, and partly because the beaches, bathing hotels, beach houses and the sea are North Sealand’s DNA are such a powerful marketing element in their own right. 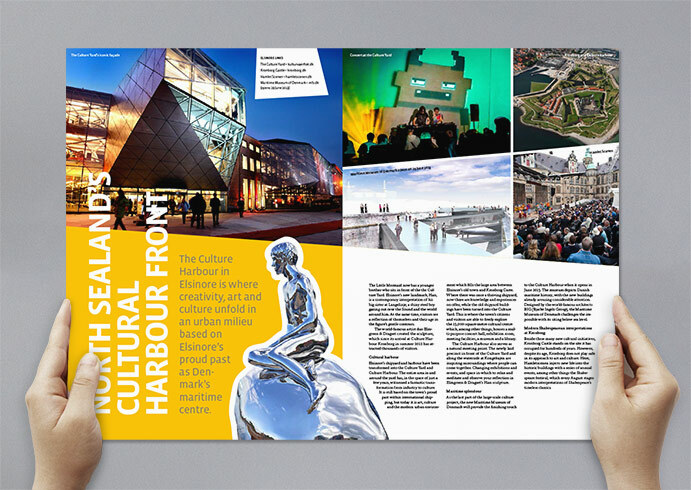 Over many years we have also been responsible for the design and production of an annual holiday guide to the region, published in several languages and with a print run of 130,000 copies. 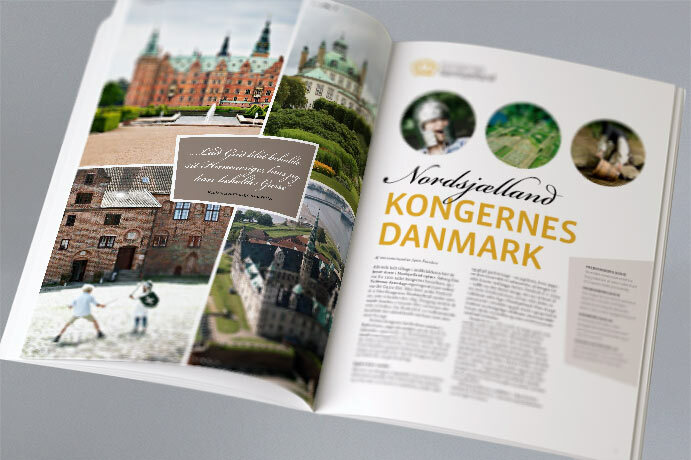 See the holiday guide ‘Royal North Sealand’ here. 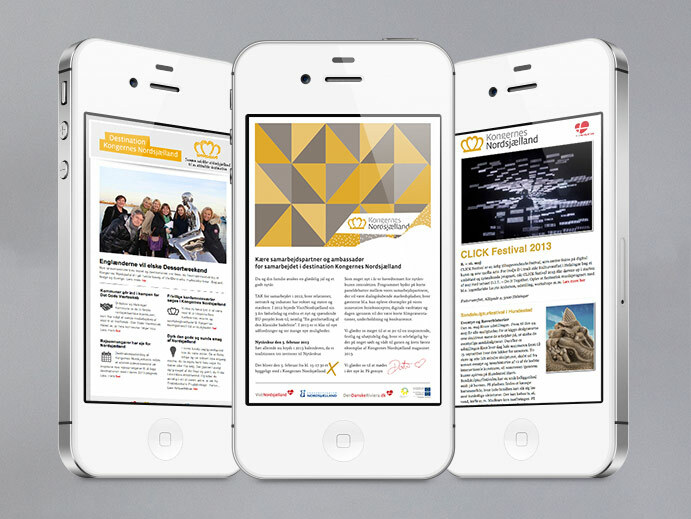 See the holiday guide, 'Royal North Sealand', here.